Dr. Simpson is a board-certified medical oncologist and hematologist with expertise in treating solid tumors and blood cancers. 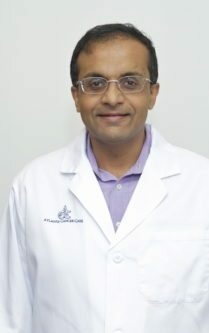 He completed training in internal medicine at the Advocate Illinois Masonic Medical Center and was a fellow in oncology and hematology at the Mayo Clinic. Dr. Simpson has conducted cancer research and presented extensively at professional conferences. He is a member of the Northside Hospital Research Advisory Committee. Dr. Simpson has published numerous articles which outline his research in colorectal, genitourinary, hematologic cancers and melanoma.